Hello readers, here is another update from behind the scenes of FastKlean Carpet Cleaning Company London. We were invited by the manager of a big company based in Potters Bar to provide a quote for a major carpet cleaning service. Our professional carpet cleaners are required to clean one thousand square metres of carpet over three floors of this large business building. The manager was very impressed with our proposal and has offered the carpet cleaning contract. 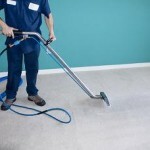 The carpet cleaning service London will begin next month. We are confident that our carpet cleaners will deliver outstanding results and we have high hopes for a successful business relationship with this company. Whether you own a small office or manage a huge business block with carpeted floors our contract carpet cleaners are ready to take on the challenge. They have state of the art cleaning equipment and non-toxic cleaning products that will leave your floors looking immaculate. Our professional cleaners London also provide hard floor cleaning, window cleaning and PC cleaning services at affordable commercial cleaning prices.